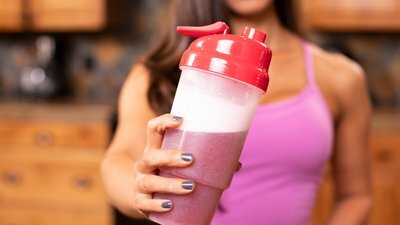 BCAA Bashing: Have The Big Three Of Aminos Been Debunked As Muscle-Builders? A recent barrage of marketing may have you asking yourself: Do BCAAs work, or were they disproven by a new research paper? Here's what the science says, from an industry insider with decades of experience. In late summer 2017, within the span of about 72 hours, I received a barrage of emails, texts, and calls from colleagues to clients, buddies and beggars; the latter being those types who claim to be friends or potential clients, but just want as much free intel as possible. All wanted to know what I thought about a new review paper by Robert R. Wolfe, Ph.D., published in the Journal of the International Society of Sports Nutrition, entitled "Branched-chain amino acids and muscle protein synthesis in humans: myth or reality?" To put it lightly, the typical reader takeaway from the peer-reviewed article was notably negative toward the use of branched-chain amino acids (BCAAs). The conclusion by the review paper's author was that "BCAA supplements alone do not promote muscle anabolism." Instead, all of the essential amino acids (EAAs) are required to support muscle protein synthesis. In the paper's wake, there's been a barrage—one that hasn't let up yet—of "BCAAs don't work" social media posts, and the marketing that has followed has only stoked the fire. Wolfe is the director of the Center for Translational Research in Aging and Longevity at the Reynolds Institute on Aging. He has done extensive research in the field of muscle metabolism. He is also a consultant for TriVita Wellness, a multilevel marketing company that offers a product called MyoHealth, which includes a proprietary blend of essential amino acids invented by Wolfe and a colleague. To be clear, the professor's main conclusion about EAAs being a better—or at least, more complete—nutritional option to support muscle growth and recovery is correct. But it doesn't capture the entirety of the situation. Here's what you need to know. What's known as the "all-or-none principle" dictates muscle hypertrophy. As soon as one essential ingredient becomes unavailable, the entire process shuts down. If you train your legs, for example, the exercise alone is an adequate trigger to prime your muscles for growth. However, if you don't deliver all of the amino acids (and cofactors) necessary to support that message, then your body will retrieve the missing amino acids from other muscles within your body. Therefore, it's possible that the whole-body muscle breakdown you experience may exceed the muscle protein synthesis response, and instead of that exercise yielding an overall anabolic result, you could end up in what's known as a "net negative" protein state. It makes sense then that BCAAs alone, if consumed in a fasted state, can only help a little, but not as much as EAAs. The branched-chain aminos of leucine, valine, and isoleucine are just three of the nine essential amino acids that a human body needs to obtain from dietary sources. The other six are similarly important. Also, depending on your nutritional state and training intensity, there are other amino acids that can become essential. They are appropriately called conditionally essential amino acids. However, how much better EAAs are than BCAAs depends on a number of factors, including the amounts of all of the amino acids and other nutrients still circulating or being made readily available to your muscles from your most recent meal or supplement. So, if you drink a protein shake or consume a complete, protein-rich meal within a couple hours of training, it's doubtful that an EAA supplement consumed during or after a workout would be any more or less effective at stimulating muscle growth than consuming BCAAs alone. If that pre-workout shake or meal is vegan and lacking in leucine, a BCAA supplement should be just as effective as a product containing all the EAAs. That is, having a caloric surplus of all the critical amino acids and other vital nutrients is the most effective strategy for supporting whole-body anabolism, but supplementing with EAAs or the BCAAs alone can play a complimentary role depending upon the overall nutritional state. Do BCAAs work at all? "Energy and protein/amino acids are the key for muscle growth with resistance training for sure, and EAAs or whey can help," says Juha Hulmi, Ph.D., one of the world's leading researchers in muscle protein synthesis and a research faculty member at the University of Jyväskylä, in Finland, in an email correspondence. "But," he adds, "BCAAs may be helpful in some situations in which the diet is lacking. For example, low leucine availability in vegans, or perhaps as a supplement to a low-protein meal or pre-sleep in very busy individuals, or during pre-competition dieting, as done by fitness athletes." However, the study author's conclusion has led many readers to believe that there is no evidence that BCAA supplements alone support whole-body muscle protein synthesis when consumed in what is clinically referred to as a semi-fasted or "post-absorptive" state, which is usually defined as at least four hours after consuming a meal or food-replacement supplement. This simply isn't the case. But, when was the last time you heard of a bodybuilder or athlete being advised to train intensely in a fasted state in order to increase muscle mass and performance? Never. And undoubtedly not by many of the same sports science experts who have been jumping on the "BCAAs don't work" bandwagon. Instead, anyone looking to add muscle mass or increase performance has likely read that they need to consume a protein- and nutrient-rich meal or meal supplement within about 1-2 hours prior to training. That's the real-world situation under which most BCAA supplements are being used. Not as replacements to a meal or complete protein. Rather, they are used when surpluses of the other essential amino acids and nutrients are still present, albeit of somewhat limited availability. Broad brush critics of BCAA supplementation either fail to differentiate real-world application from scientific settings, or instead use the marketing of some companies as representative of the entirety of BCAAs. Yes, any "expert" who claims that BCAAs alone can promote optimal whole-body anabolism is indeed incorrect, and deserves to be called out. However, to use Wolfe's JISSN paper or to otherwise claim that BCAA supplementation can't support muscle protein synthesis under any condition would be similarly misguided. Wholly overlooked by the "BCAAs don't work" position are the studies that have indeed shown BCAAs to support a number of training variables. A 2014 review paper published in the peer-review journal Nutrcion Hospitalaria, for example, concluded that supplementation with BCAAs prior to or during endurance training reduces fatigue, perceived effort, muscle damage, and pain sensation, increases the anabolic response to exercise, and improves recovery and the immune system response to exercise. Another, more recent, systematic review published in the journal Nutrients concluded that when greater than about 91 milligrams of BCAAs per pound of body weight is consumed consecutively for at least 10 days, BCAA supplementation when consumed prior to high-intensity exercise ("damaging exercise") can significantly reduce markers of muscle damage. In this science editor's opinion, BCAAs still have their place between meals or during exercise, when they can be used to help stimulate anabolic processes and compete for uptake into the brain with the fatigue-inducing amino acid, tryptophan. Certainly, you could consume an EAA or whey drink instead, but a BCAA supplement does still "work." Wolfe, R. R. (2017). Branched-chain amino acids and muscle protein synthesis in humans: myth or reality? Journal of the International Society of Sports Nutrition, 14(1), 30. Moberg, M., Apró, W., Ekblom, B., Van Hall, G., Holmberg, H. C., & Blomstrand, E. (2016). Activation of mTORC1 by leucine is potentiated by branched-chain amino acids and even more so by essential amino acids following resistance exercise. American Journal of Physiology-Cell Physiology, 310(11), C874-C884. Jackman, S. R., Witard, O. C., Philp, A., Wallis, G. A., Baar, K., & Tipton, K. D. (2017). Branched-chain amino acid ingestion stimulates muscle myofibrillar protein synthesis following resistance exercise in humans. Frontiers in Physiology, 8, 390. Salinas-García, M. E., Martínez-Sanz, J. M., Urdampilleta, A., Mielgo-Ayuso, J., Norte, A. N., & Ortiz-Moncada, R. (2014). Effects of branched amino acids in endurance sports: a review. Fouré, A., & Bendahan, D. (2017). Is branched-chain amino acids supplementation an efficient nutritional strategy to alleviate skeletal muscle damage? A systematic review. Nutrients, 9(10), 1047.